-       Flat fee Listing at 1% selling price. Minimum $1,000. Seller to offer Buying Brokerage an additional 3% of Selling price. -       Market activity consultation and report to help you determine your list price. -       Entry into MLS, which will give you additional exposure on the Columbus Dispatch real estate web site, Realtor.Com, Cyberhomes and more. -       Internet Marketing Exposure for the top Real Estate websites – Trulia, Zillow, Hotpads, Craigslist, HomeFinder, Google, Yahoo and many, many more. -       Installation of an ilock box that limits and tracks access into your home. -       All required property disclosures needed to be in compliance. -       Free Pre-Qualification for all your buyers financing needs. Already a FSBO (For Sale by Owner)? Additional discount available. Ask for details. SELLING - I f you own real estate that you're thinking of selling, I would be happy to provide you with a FREE Home Evaluation. FLAT FEE LISTING AVAILABLE. If you owe more than you can sell your home for, or you are behind in your payments, I may be able to help. As a certified Ohio Foreclosure Intervention Specialist, I will provide a free and confidential consultation and help you understand your options. Many times we can help you find a solution that is in your best interest. FLAT FEE SERVICE Available - SAVE MONEY! More Showings, More Showing Feedbacks, Faster Sales! Showing Agent requests are answered Monday thru Saturday, 8 a.m. to 8 p.m. and on Sundays til 6 p.m. Your home is shown at your convenience. Weekly activity reports are sent to you with the showing activity, and the feedbacks given to us by the showing agent. Your home will be advertised on dozens of web sites with multiple photographs. Ask us about our 30 day marketing plan. Call us to sell your home, not just list it! 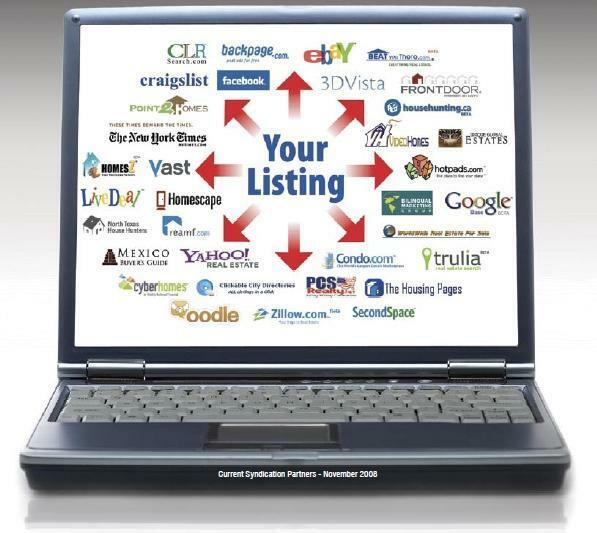 List with us and we will market your home to these sites and more! More than 80% of the Buyers start out by searching the internet. This is just one of the ways that makes us Agents with a Difference!